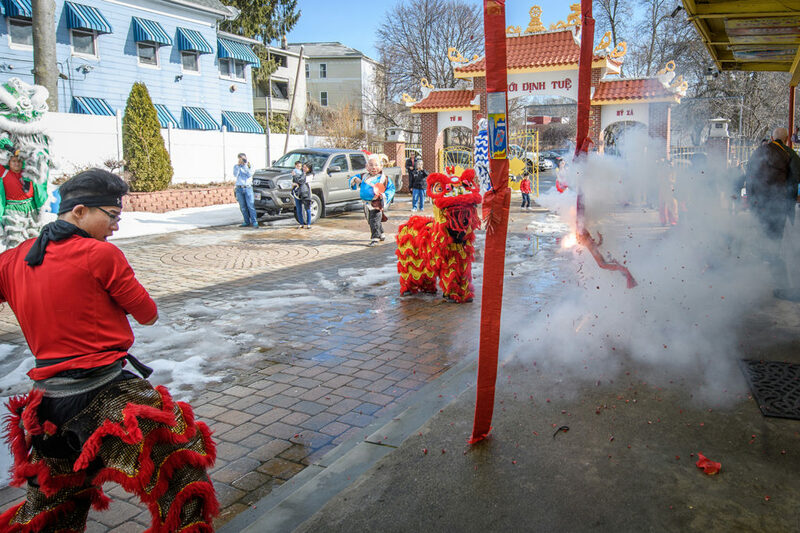 Lunar New Year (also known as Spring Festival or Chinese New Year) kicked off on Tuesday, Feb. 5, and residents and businesses in the Main South neighborhood near Clark University celebrated to the sound of firecrackers and drums. 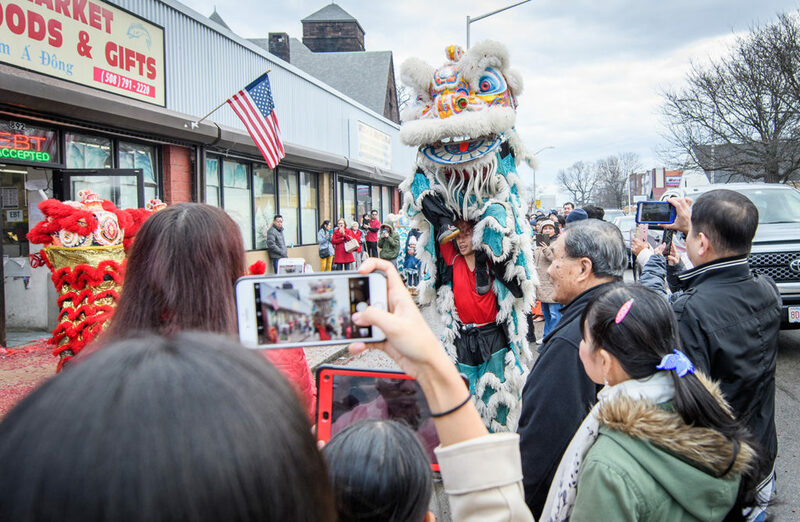 Dragons from Worcester’s Imperial Lion Dance Team drew a crowd on Main Street, and children and adults lined up and snapped photos. It’s the Year of the Pig, and the Clark community is celebrating all week. Writing on Clark’s new Graduate Studies Blog, Lauren Barnett gets into the spirit and offers recommendations to ring in the new year. Fireworks were part of the celebration for Lunar New Year near Clark University.